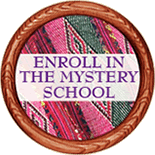 At the turn of each season, the Mystery School opens its doors… You are welcome to join us for any workshop as long as you have taken an intro class. In the spring, we celebrate the return of the Sun’s warmth. We reconnect with nature and awaken ourselves. We plant seeds that will blossom and offer a rich harvest in the year to come. At the Mystery School, we use this spring energy to plant seeds that will expand consciousness across lifetimes. In this workshop, we focus the Mind, the keeper of our stories and the seat of the ego. The psyche can be the greatest ally or impediment to healing. Class is from 10 AM – 4 PM each day with a midday break. Several are lunch options are a short drive away. Or, bring your own meal and spend the break getting to know the students in class. Register and pay in full for CHILL 1, 2 & 3 and save $125. You are on a journey toward expanded consciousness, but how can you find your way without first knowing who you are? We begin with the Mind, the keeper of our stories and the seat of the ego. The psyche can be the greatest ally or impediment to healing. In this class you will reframe your story and dissolve emotional reactivity so you can then be freed to address the needs of the body. 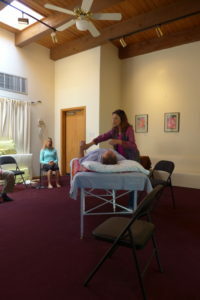 Embody the first six Chumpis: Birth, Balance, Unity, Compassion, Harmony, and Communion. 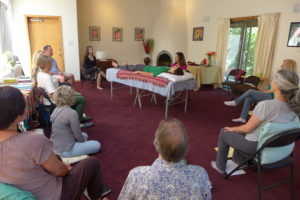 In order to join us for this class you must complete Illuminating Your Greater Reality: An Introduction to CHILL or another introductory workshop lead by Eleanora .